In the 1960’s the temple was rescued from flooding and moved to higher ground. Sadly, the floodwaters washed away the painted walls. Fortunately, David Roberts made some wonderful paintings of the Isis Temple in 1838. He recorded details of the building and the then surviving decorative colours. 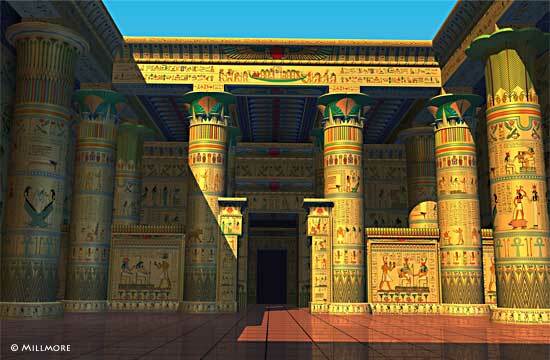 Using the David Roberts paintings and my own sketches as source material, along with photos and maps of the temple, it was possible reconstruct a 3D model of how the building might have appeared in ancient times.